Have a place for everything when you use the custom closet organizers from our company. When you are tired of digging through your clothing, shoe, and other items, installing our closet storage systems make navigating to find your belongings an easy process. Whether you do not have enough space or are used to a messy lifestyle, we have the tools you need to make organization simple for you and your entire family. With our products, you will never waste time searching for a lost item. In many homes and apartments, space is limited. While you may try to stay on top of your organization, sometimes things just go missing. With new closet inserts from our crew, your days of searching through your belongings for your favorite pair of shoes are over. Improve the functionality and organization of your home when you take advantage of our custom organization solutions. 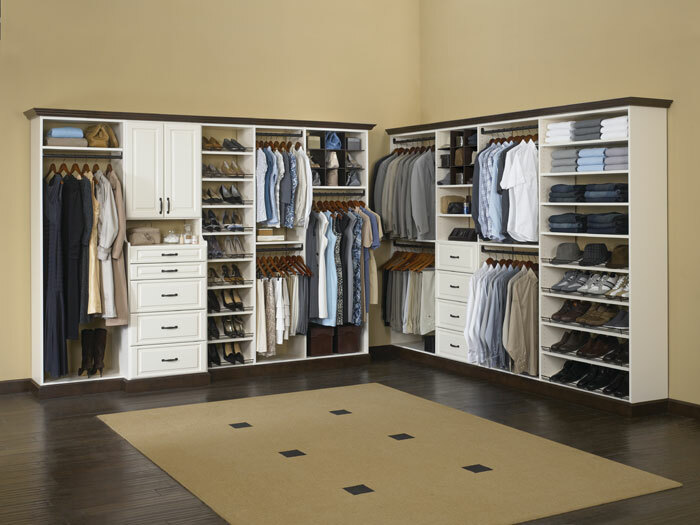 At our company, we create custom closet organizers that are designed to fit your specific needs. We invite you to look through our selection and we will be happy to help you choose the perfect option. Our goal is to make it easier for you to store your clothing and other items. Is your closet missing the right organization system? While many homeowners choose to stick with the traditional rod and shelving setup, there is an easier option out there for you. Our closet inserts are available with a range of features. From shelves and drawers to rods and racks, you are sure to find the right product to add much-needed storage space to your home. Think about all of the things that you store in your home or apartment. Whether you need a way to keep your shoes together or a more efficient setup for your pantry items, we are happy to deliver the right option. Each day, homeowners everywhere waste valuable time digging through their items in search for something. From missing shoes to other accessories, it is common for anything to get lost if your closet is not kept together. When you are looking for extra space, it is essential that you make organization a priority at your home. Our team is proud to offer custom closet storage systems that help reduce the time you spend searching through your space. No matter what your specific needs are, you can count on us to deliver an effective solution. Once you decide on the right features for your new closet, turn to our team to complete your project for you. From racks to shelving, our professionals are available to perform a full closet organizer installation for every type of system. We focus on the details to ensure that your job is completed the right way the first time. With us on your side, you will never have to deal with falling shelves or uneven racks in your closet. Contact us to learn about your options for closet organizers. At our company, we proudly create closet storage systems for customers throughout Cuyahoga Falls, Stow, Hudson, Fairlawn, and Akron, Ohio.